Defensive lineman Jared Allen retired from the NFL in 2015 and wasn’t ready to give up on the competition he’d come to enjoy as a five-time All-Pro. The problem: He didn’t compete in any Olympic sports. “Every team in the NFL — whether you’re hot garbage or the defending Super Bowl champions — every coach come August says the same thing: ‘We’re trying to win the Super Bowl,’” Allen said. “We come from that mentality, where we set lofty goals. A 12-year NFL veteran who spent most of his career with the Chiefs and Vikings, Allen was lamenting the end of his playing days when a friend dared him to try to try an Olympic sport. Allen toyed with the idea of badminton but rejected it as too taxing. He rounded up former Rams quarterback Marc Bulger and Titans linebacker Keith Bulluck and tackle Michael Roos to form a team; all were Pro Bowl selections during their NFL career, and living in the Nashville, Tennessee, area. The first test was in November, when Allen and Bulger — with two “regular” curlers — competed in the Curl Mesabi Classic in Northern Minnesota. Their first opponent: The gold medal-winning team from Pyeongchang led by four-time Olympian John Shuster. “We had one bad end, and we just kept playing with them. We just wanted to be a sponge,” Bulger said. “The key was they knew we were taking it seriously. It wasn’t just us saying ‘We’re going to take over curling,’ kind of as a gimmick. They got off to a rough start in their first match, falling 10-1 to Steve Birklid’s Seattle-based rink on Thursday night. But, by hopping into the sport early in the Olympic cycle, they have almost three more years before the team for the 2022 Winter Games in Beijing is chosen. Hamilton confessed that he was put off at first about newcomers thinking they could go to the Olympics after four years in a sport he has worked at his entire life to master. But he also realized that the publicity will be good for curling, which has struggled to break out of its niche as an every four years curiosity. All four football players agreed that the reception they’ve received from lifetime curlers has been decidedly different than the one that might welcome a curler who tried to break into the hyper-competitive NFL. Instead, the ex-NFLers found that the tight-knit but friendly community of curlers was eager to accept them. 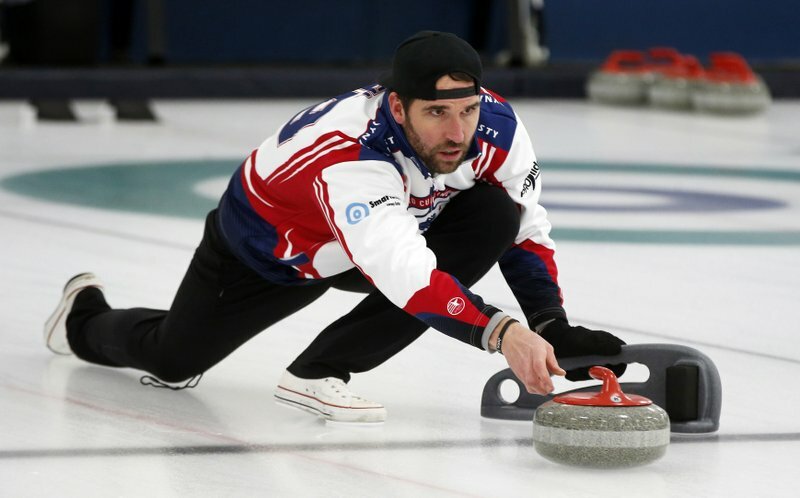 In their match against the Olympians, there was trash-talking — or banter, depending on whom you ask — and Hamilton even gave them some of his old curling gear. Like many of those who only experience curling every four years, on TV, the football players saw the sweeping and the shouting and underestimated how hard it is. “We played football, but it’s a lot of muscles we didn’t use,” Bulger said. “We just assumed that you throw to the button every time, and we learned that is not the game,” he said. “It’s like a novice chess player going against” a grandmaster. But their NFL experience did help in other ways, priming them with not just physical fitness but also good practice habits, the ability to make decisions on the fly and to improve through film study and coaching. And, of course, they’re competitive.